We were talking about wealth yesterday. We are now taking about acute poverty. What kind of an oxymoron company are we? The reasons are two folds. One, we or not just reclamation agency for forgotten wealth of individuals or strategic financial advisers for emerging SMEs. Above all else, we are human beings impacted by the environment we live in and poverty hurts. Two, Chief Economic Advisor Arvind Subramanian’s extension by a year kept us wondering if the Modi Government wants to bring in Universal Basic Income Scheme over the next one year. Arvind Subramanian’s term was to end on 16th October 2017. Now it gets extended by one year. That is 16th October 2018. About one month before model code of conduct kicks in for 2019 general elections. What a mileage it would be for Modi re-election if it is implemented! 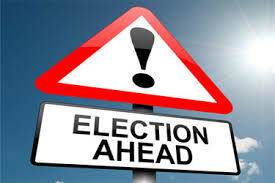 Re-election would be over before the economic ramifications, if any, kicks in. For this reason alone, would not the opposition try to torpedo the implementations? 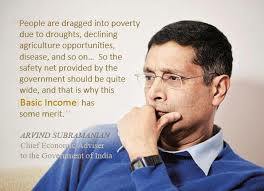 Universal Basic Income (UBI, for short) as concept for India was pronounced by CEA Arvind Subramanian through Economic Survey report of 2016-17. From Feb through April there were some discussions and it died down. 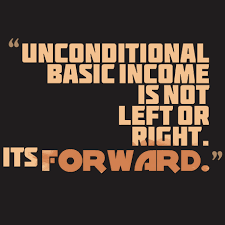 UBI in principle, gives cash to people below poverty line so that they are lifted above the poverty line. It’s not new or unique to India. Elon Musk thinks artificial intelligence and industrial automation through robotics are going to render lot of people jobless and future governments cannot but resort to UBI. Bill Gates doesn’t agree with Elon Musk and thinks we shouldn’t panic about it. Multibillion dollar tech philanthropists’ speak apart, is it possible in India or even needed for India? Economic Survey points out that the districts that need the most are the places in which States are incapable of delivering. Central Government is running about 950 inefficient schemes that keep close to 30 crores people below the poverty line of Rs.22 in income per day. Sad. 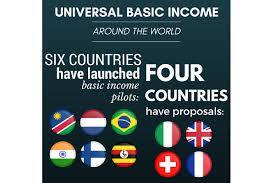 So, there is a strong case for implementing UBI. As per CEA’s estimate if we can spend 4.7% of GDP, 99.50% of the people can be pulled out of poverty line. Poverty line is little less than Rs.8000 per annum. It’s quite laudable, even if it is Rs.22 per day. We don’t plan to reel out statistics. At high level, there are a few prerequisites for implementation. For starters, all subsidies hither to given have to be stopped. This is easier said than done. Secondly, from where will the required money come? This requires Centre-State co-ordination and sharing of expenses. This will be anathema for States. They will be deprived of power and possibility of corruption. However, reduction in petroleum subsidy has actually made it possible to allocate funds to a large extent. One major advantage of implementation would be reduced corruption. For this reason alone, it may be difficult to implement. Finally, there is one area the country is almost ready. It requires Jan Dhan – Aadhar – Mobile infrastructure, that is largely in place. So, in financial or infrastructure terms it is not impossible to implement. There are a few downsides though. What about PDS, Electricity Subsidy and other subsidies offered by various Governments for middle class people? We can’t withdraw cheap rice to your servant maid. With rural electrification thrust, not all newcomers to world with electricity can be expected to pay commercial tariff. Can we retain PDS, Electricity subsidy and fertilizer subsidy and yet provide UBI? These are questions that cross our mind. Victor Hugo said, “There is one thing stronger than all the armies in the world, and that is an idea whose time has come”. Has time for UBI come? We are not sure. But, as Arvind Subramanian concluded in Economic Survey, UBI is a powerful idea whose time has come for some serious discussions.